Is it a mushroom? Is it a jellyfish? What is this? Researchers introduced this Australian deep-sea species to us earlier this year. But here's the bizarre part. 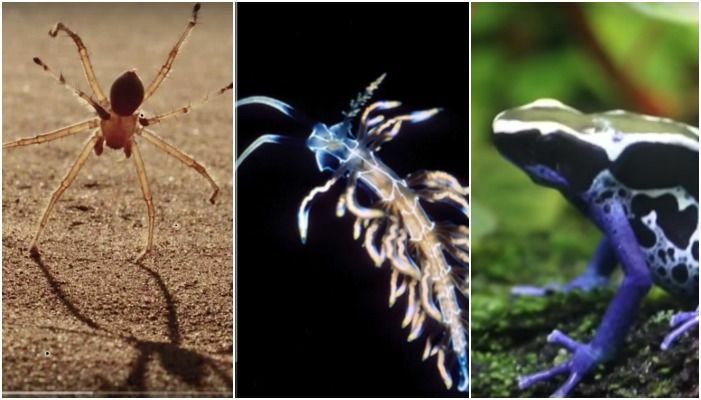 They don't know what category - or phylum - to put these surreal creatures in. 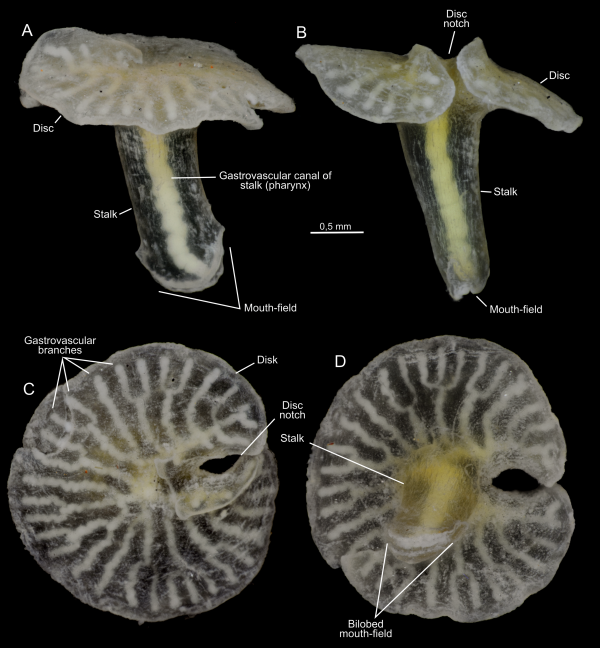 The multicellular beings have a whole new genus - Dendrogramma. Oh and this is only the third or so phylum to be found in the last few decades. It's no wonder why the Dendrogramma Enigmatica will go down as one of the most exciting discoveries of all time. Behold the most acrobatic spider ever. The Cebrennus Rechenbergi spider, found in a Moroccoan desert in May is known to cartwheel its way out of danger. The spider, nicknamed 'flic flac', also cartwheels when it wants to cover distances fast. Hey, as long as it's cartwheeling away from us, we're not complaining. Who says slugs can't be gorgeous? Nature never ceases to amaze. This Japanese sea slug, the Phyllodesmium Acanthorhinum, may just be the most beautiful creature on this list. Not only do they glow in the dark but they also live off photosynthesis. How? The algae that live in the gut of this sea slug provides the nutrition it does not get with its regular meal. So you're really looking at two species instead of one in this photograph. Not to mention all the plankton that you can't see with your naked eye. Found in Kerala's Idukki district, this latest addition to the scorpion family - the Buthoscorpio Chinnarensis - is black and measures around 4cm. But don't be fooled by its size, these guys can hold their tail over their stomach to mimic a beetle - to avoid being detected. And why not? Most people would kill a scorpion on sight. But researchers say not one of the 113 scorpion species in India - including this one found in August, 2015- is lethal to human beings. 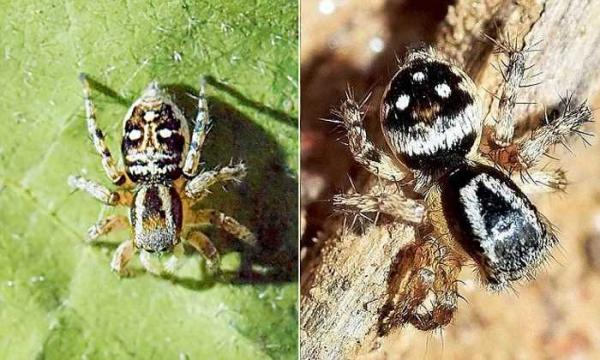 A team of students from Guru Gobind Singh Indraprastha University stumbled upon a unique species of previously-undiscovered spiders in a wildlife sanctuary in Delhi in October. The black spider bears a unique colour pattern on its shell, which resembles Lord Jagannath's face. 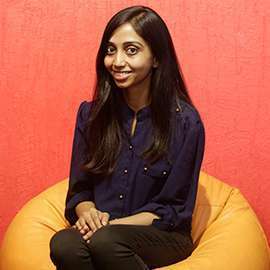 The new species has been named Stenaelurillus Jagannathae. Still unimpressed? Get this. The species runs fast and is known to make long jumps. What is that on your shoulder? Also read, this for more information on the spider. For the first time in over a 100 years, a new species of the giant Galapagos tortoise was found off the coast of Santa Cruz island in Pacific archipelago in October. Interestingly, they have little in common with its better known cousins, and share genetic similarities with other island tortoises. 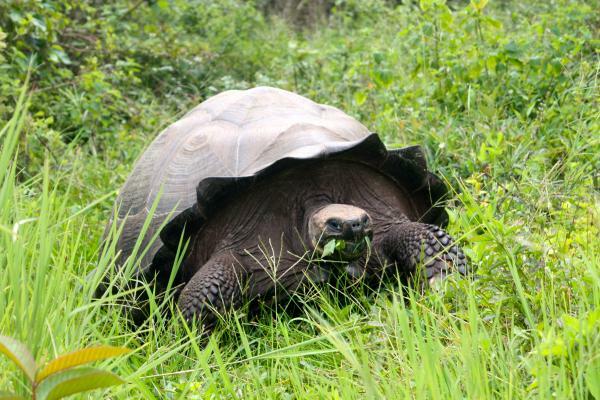 The new species has been named Chelonoidis Donfaustoi, after park ranger 'Don Fausto' Fausto Llerena Sanchez, who worked to save endangered tortoises. Wasps with hair on their wings. Wait, what? 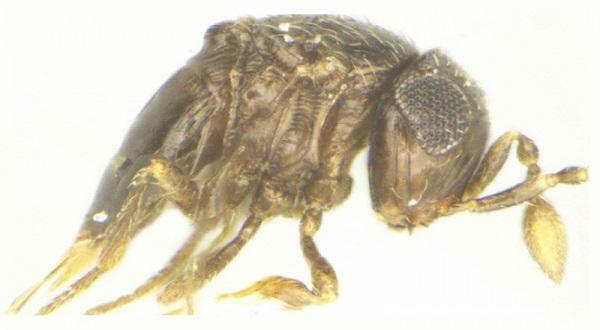 In November, Indian researchers found five new species of wasps. With long hair-like structures at the tip of their wings, these newly-discovered creatures have been aptly named Adikeshavus (Sanskrit for long hair). They're known to feed on spider eggs and are being looked at as an effective method to keep spider infestation at bay. In June, scientists from the Brazil's Federal University of Parana announced the discovery of seven miniature frog species. At .3 inches, these amphibians are one of the smallest terrestrial vertrebrates. 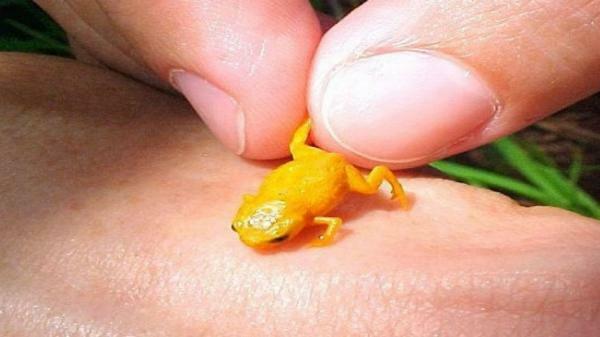 These tiny beings have brightly coloured, poisonous bodies - their way of keeping predators at bay. Much of the Andes is still unexplored. And each year brings us a host of new and fascinating creatures from these parts. Meet the Synophis Zaheri snake. 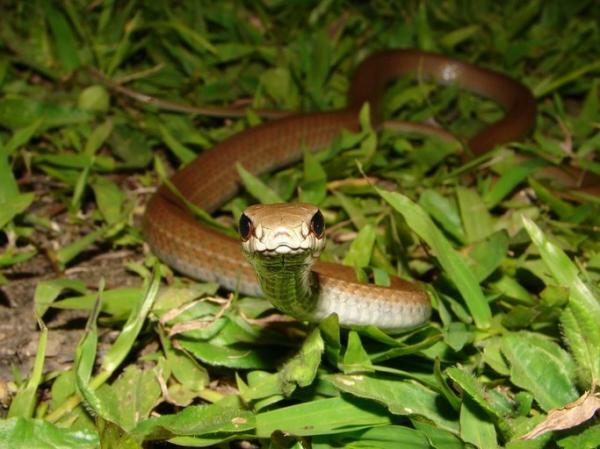 This 40-cm long reptile has a grayish-brown body and distinctive black eyes. It has been named after Brazilian herpetologist, Dr Hussam El-Dine Zaher. Three new species of the fishing snake were also discovered in the Andean cloud forests - the first proof of the existence of the species in Peru. The Synophis Zaheri snake's neighbour, fellow Andes dweller Mastigodryas boddaerti. The only plant on the list is the Balanophora Coralliformis, a bulbous plant that looks like a potato. Don't try to eat one of these though. Notice the lack of any green colouring? That's because these plants are parasites that draw nutrients from the roots of other plants.